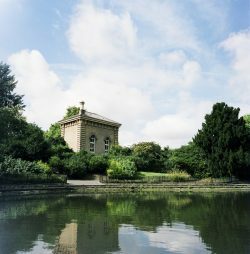 Pump House Gallery, situated beside a lake in Battersea Park, provides a welcoming space for audiences to see, participate and engage in contemporary art. Supporting high quality artistic activity that provides audiences with different perspectives on how, where and why we live the way we do is at the heart of Pump House Gallery’s programme. Presenting work both in the gallery and off site, Pump House Gallery provides its audiences with a range of experiences and activities that unpack challenging, thought-provoking, contemporary issues. Unpacking contemporary art is a skill that requires practice. It is our aspiration to provide our audiences with a variety of opportunities to test out and practice this skill. We are committed to ensuring that the perspectives, views and experiences presented are open for all to engage with, regardless of age or experience. Pump House Gallery is managed by Enable Leisure & Culture on behalf of Wandsworth Council. Funded by Wandsworth Council. To reach the gallery you must come through the park. The entrances to the park nearest the gallery are Chelsea Gate and Rosery Gate. It is about 10-15 minutes walk from the gate to the gallery. Battersea Park or Queenstown Road stations. There are three pay and display car parks in Battersea Park. They are situated at Albert Gate, Chelsea Gate and Rosery Gate. For information on charges please see Parking Charges. There are other routes through the park from Albert Gate and Sun Gate and take about 20-30 minutes. Normal opening hours Wednesday – Sunday 11am – 4pm.